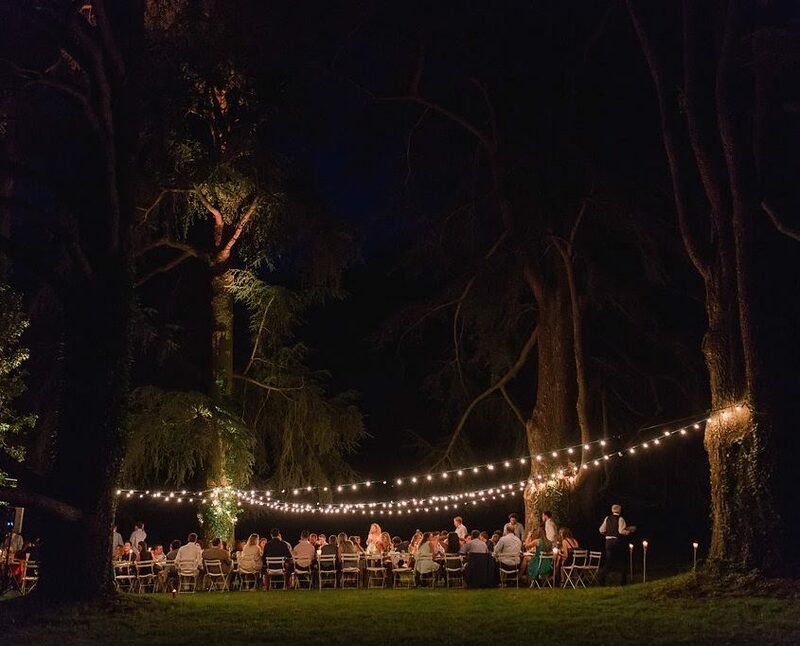 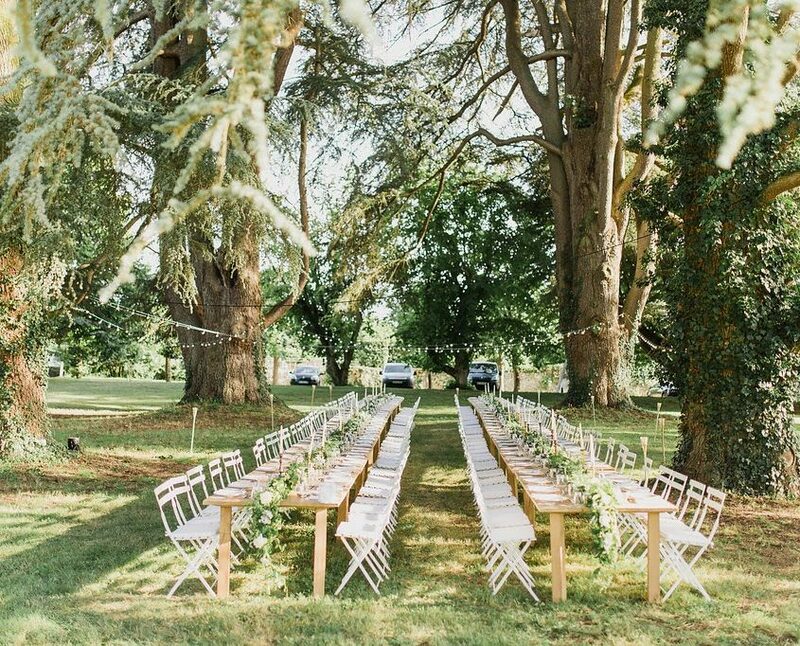 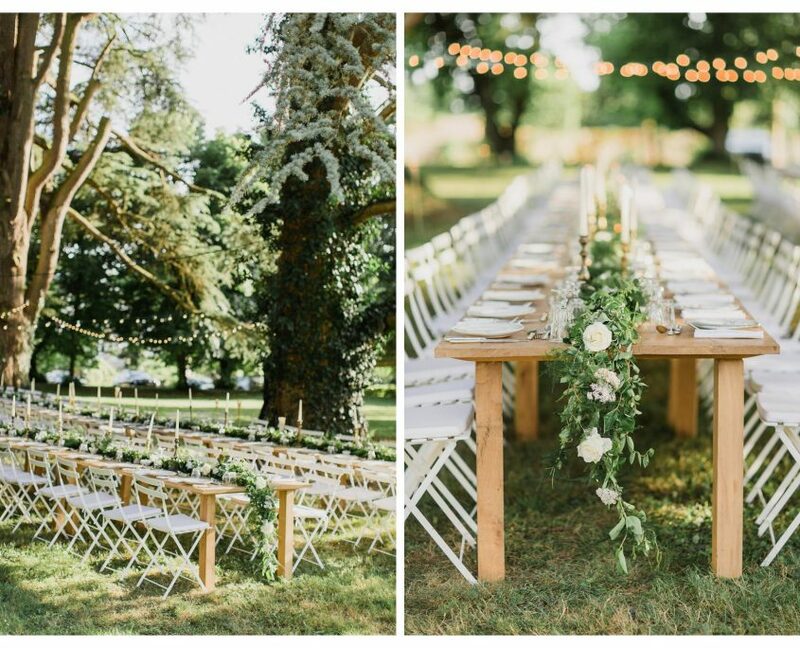 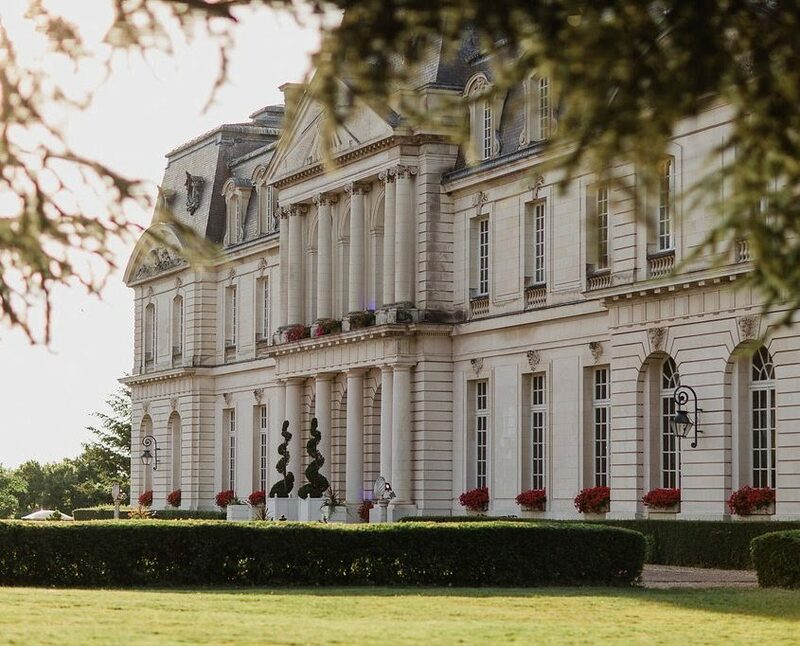 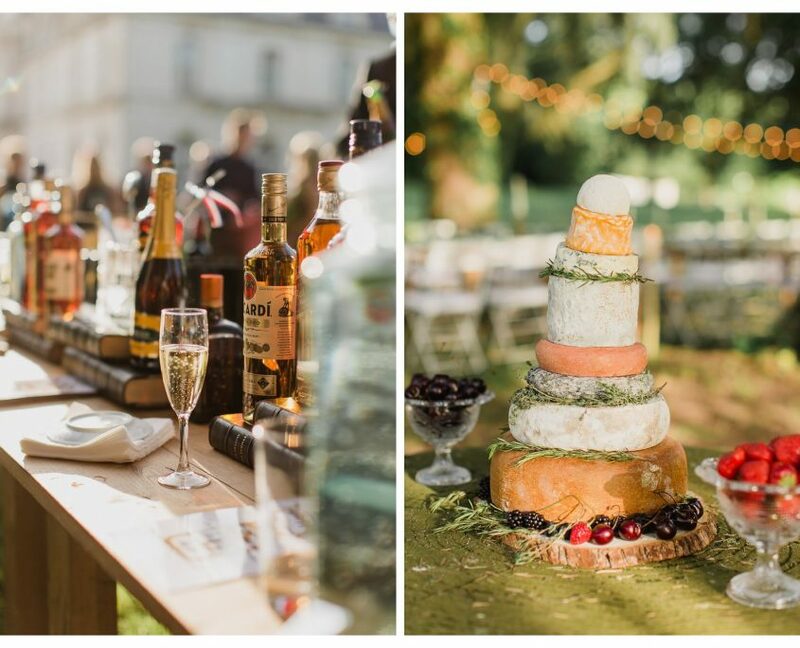 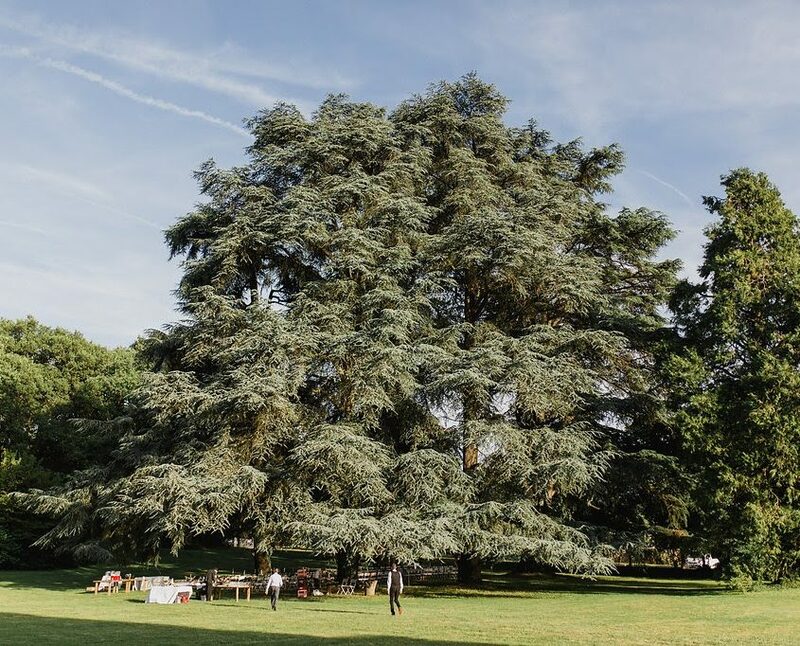 This laid-back garden party was held on the grounds of a beautiful Loire Valley château. 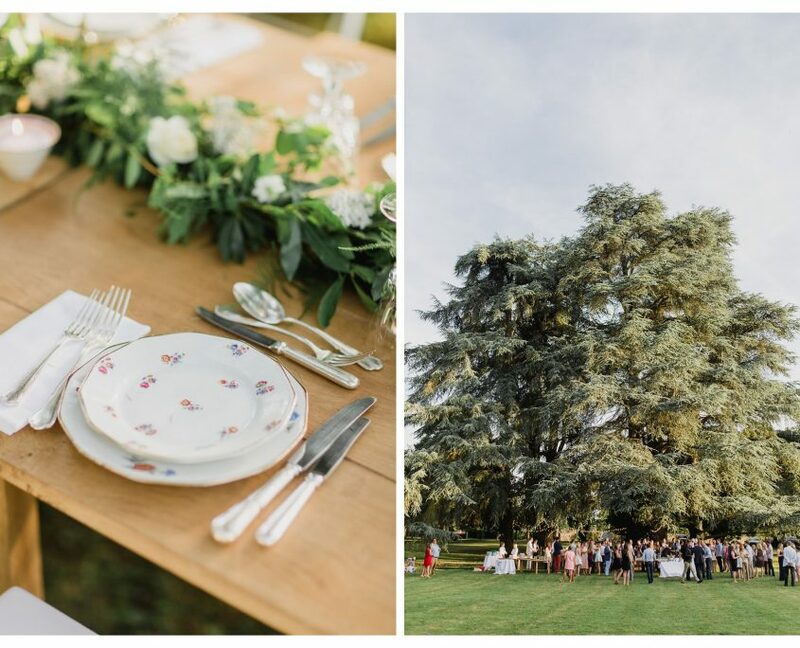 Vintage tableware, candlesticks sourced from flea markets, and a lovely runner of greenery set on raw wood tables hit just the right notes of rustic and elegant. 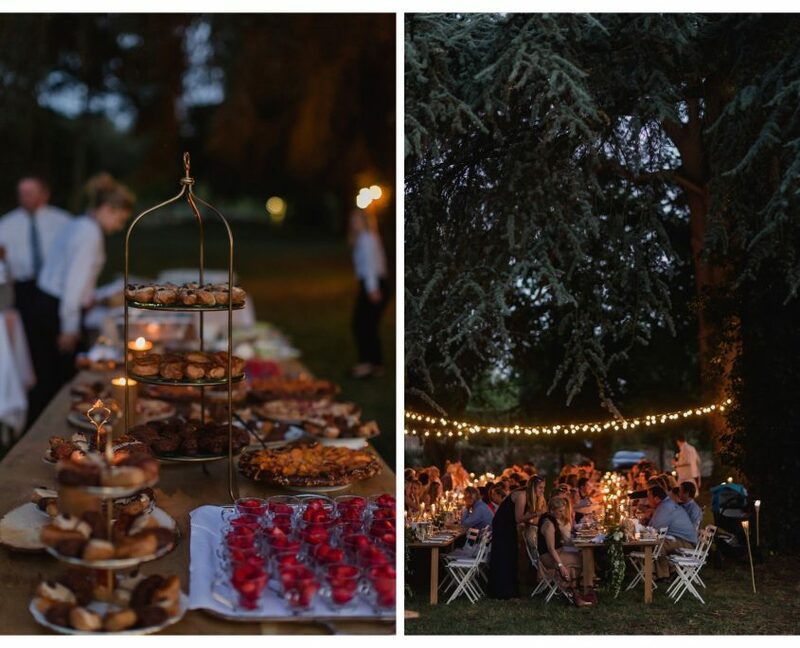 Guests enjoyed cocktails on the lawn followed by a dinner under the bistro lights, finishing with a decadent buffet of French pastries.